Here’s the good news that many homeowners don’t realize – Once you’ve reached 20% equity in your home by appreciation, improvements made to the home or by paying down the principal balance of the mortgage (or any combination of the three), you can force the lender to cancel the private mortgage insurance. All you have to do is request in writing that the private mortgage insurance be cancelled (most lenders have a brief form which must be filled out) and provide the lender with proof of sufficient equity over 20%. 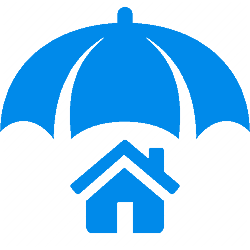 Although mortgage insurance may have allowed you to purchase a home, there will come a time when this added monthly expense will no longer directly benefit you. Therefore, it’s in your best interest to keep the provisions surrounding its cancellation in mind because no one is going to cancel it for you. Most lenders require a real estate appraisal by a state certified appraiser as the primary proof required to eliminate unnecessary PMI insurance. At Appraisal Source, LLC., we specialize in helping people just like you rid themselves of unneeded and unwanted PMI insurance.